Brandon Township's website Receive Warning From Hackers ! Several Ortonville-area websites had similar messages from hackers Monday morning, warning the website owner of its vulnerability. "Your site has been hacked by me because we love you and we want to warn you," the hacker's message read. James Ellis, of Brandon Computers, is in charge of Brandon Township's website,www.BrandonTownship.us. It was one of many sites sharing the same server that were hacked. "For several years I have been doing this, and this is the first time I've seen it," Ellis said. Ellis said he fixed the problem and that there is no personal information on the site that can be stolen by hackers. The other websites belong to mostly local churches, Ellis said. 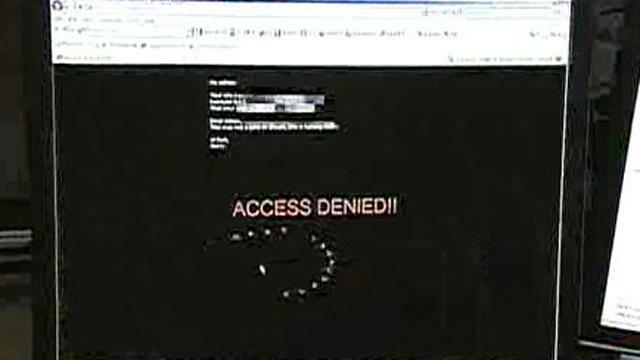 Jay Radcliff, a web securities specialist, said vulnerable websites are listed on the Internet. He said hackers can find the websites through simple searches. "It's kind of like graffiti," Radcliff said. "They mark their territory saying, 'Hey, you know, we're really cool, we hacked into these websites and changed them.'" Radcliff said the hackers can repeat the same attack on all sites on the server.